Home Page / Home / Hollywood / 2012 American Black Film Festival To Celebrate 'Think Like A Man' With Special Event! 2012 American Black Film Festival To Celebrate 'Think Like A Man' With Special Event! NEW YORK, NY, May 31, 2012 – On Friday, June 22, at the 16th Annual American Black Festival in Miami Beach, FL, ABFF will celebrate the success of the hit film, “Think Like A Man” (Screen Gems) produced by Will Packer (Rainforest Films). This very special evening will feature a conversation with the film’s producer, Will Packer, his business partner Rob Hardy, the film’s director, Tim Story as well as select cast members. Jeff Friday, CEO of The Film Life Inc., and founder of ABFF, planned the evening as a celebration of the film’s remarkable success and unprecedented impact on the entertainment industry. On April 20, 2012, “Think Like a Man,” opened to $33.6 million on just 2,015 screens, unseated “The Hunger Games” and became Screen Gems’ highest opener ever targeting African-American audiences. Still holding strong at the box office, “Think Like a Man” is close to crossing a record-breaking $100 million dollar mark domestically. The film, based on Steve Harvey’s best-selling book, follows four interconnected and diverse men whose love lives are shaken up after the ladies they are pursuing buy Harvey’s book and start taking his advice to heart, stars Taraji P. Henson, Michael Ealy, Gabrielle Union, Terrence J., Regina Hall, Romany Malco, Jerry Ferrara, Meagan Good, and Kevin Hart. “Think Like a Man” has proven that ensemble casts featuring primarily African-American actors can be hugely successful at the box office. Attendees can expect to hear an open conversation about how the film came together and then quickly became one of the top-grossing African-American films of all time. The conversation will spotlight every aspect of the film, from production and the marketing process, to casting and the use of social media as well as traditional marketing techniques, all of which has fueled its success at the box office and beyond. Full pass and ticket information for the 2012 ABFF can be found at www.abff.com. New Images From Quentin Tarantino's 'Django Unchained' Featuring Jamie Foxx Hits The Web! Martin Lawrence Eyes New Film & TV Projects, And 'Bad Boys 3' Update! Boris Kodjoe Talks About Undercovers & Life After On HMTV! 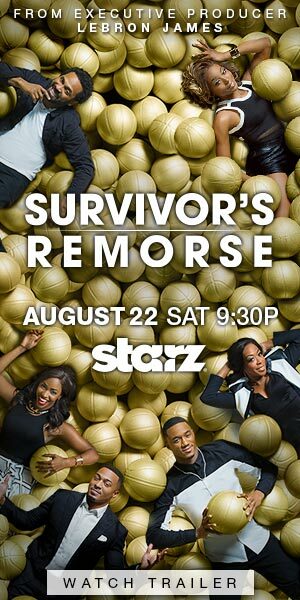 Wendy Raquel Robinson Talks About Upcoming Season Of 'The Game'! I loved Think like a Man!! Wonderful film. The performance that stood out to me was Romany Malco and Terrance J. !! both very enlighten and informed. I have followed Romany film path, with 30 yr old virgin and on TV with Weeds just to name a few. He really is a joy to watch. Keep it coming! !